Like some of the best perennials for the sun, variety is what makes this list for ground covers that thrive in sun interesting. Take a look at plant choices that offer a variety of traits including vibrant floral color, cheerful berries, interesting leaves, a pleasing aroma, and evergreen foliage. This list is arranged roughly in order of size with the biggest plants leading the way and the smallest ones bringing up the rear. All of the plants are cold-hardy to at least growing zone 5. Some of these are also drought-tolerant ground covers. Rockspray cotoneaster (Cotoneaster horizontalis) can reach 3 feet in height, although you can train it through pruning to remain shorter. That may not sound like a ground cover to you. It is, indeed, a shrub, and it is called horizontalis for a reason. Living up to that name, rock spray cotoneaster exhibits a strong tendency to grow out horizontally, rather than vertically. That is how it gains ground cover status. The bright red berries are numerous enough to furnish considerable ornamental value. Do not confuse this ground cover for the sun with the herb that kitty cats goes nuts over. There's a difference between catnip and catmint. Catmint is one of the flowering ground covers. Like cotoneaster, lamb's ears are not necessarily a short plant. If you count the flower spike, it can reach 18 inches tall. But that is just it, you do not really need to count the flower spike. The plant looks better when it is not in bloom (the flowers are not all that special). You might even opt to cut down the flower spikes, thereby keeping the plant short at ground cover level. As the common name suggests, the real attraction here is the velvety leaves, which are quite stroke-able like the ears on a cute, little lamb. There is a visual component, too, this is one of the plants with silver foliage. Creeping junipers such as "Blue Rug" share the shrub classification with cotoneaster. 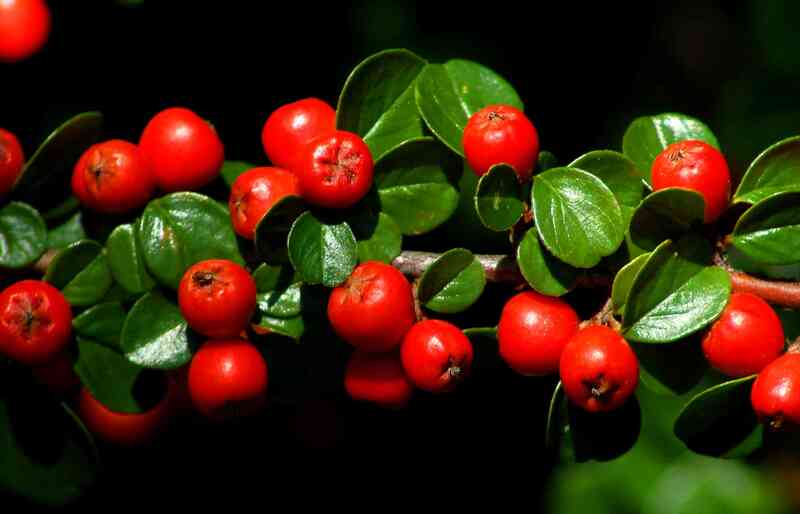 But "creeping" in the name immediately indicates where this plant parts ways with cotoneaster: these are short, surface-hugging plants. These plants are excellent for soil erosion control on sunny hillsides and are needled evergreens. This perennial type of alyssum is one of those great yellows of the spring season (think witch hazel, Adonis, winter aconite, forsythia, and daffodils). But it is not all about the flowers: the blue-gray leaves are also visually interesting. This is important because if you are using it as a ground cover to adorn a good-sized sunny spot, it should supply some visual interest in the post-blooming period, too. Other ground covers for the sun that bear pretty spring flowers are snow-in-summer and creeping phlox. Both yellow alyssum and snow-in-summer have nicer foliage than creeping phlox. When it comes to creating a showcase of flowers, however, creeping phlox has few equals. 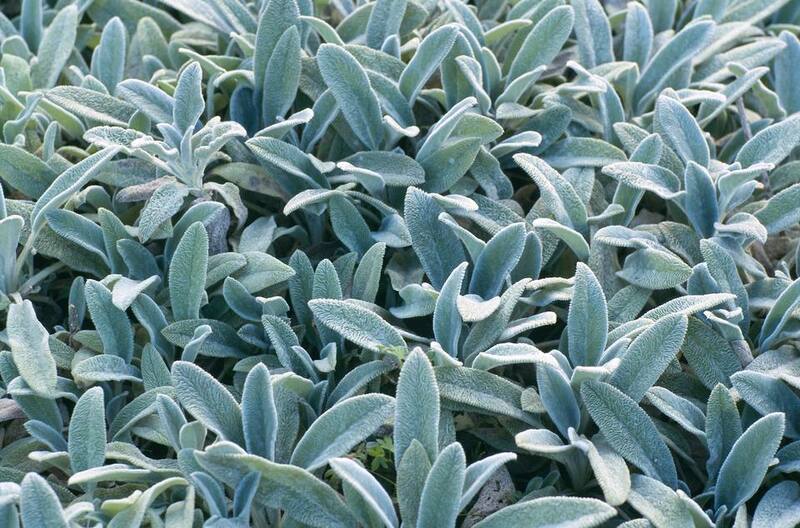 Unlike its fellow silver-tongued friend, lamb's ear, Artemisia schmidtiana "Silver Mound" is strictly a foliage plant. There is no flower spike to deal with when growing this ground cover for the sun. It also has a very different texture from that of lamb's ears and it is not just the lack of a velvety feel, more specifically it is the plant texture, which is a visual attribute, not a tactile one. Where lamb's ears sport a coarse plant texture, Silver Mound has a fine texture. Depending upon how you may be working with plant textures in your design, this distinction could make the difference in your plant selection. The snow-in-summer ground cover looks like "snow drifts" of flowers that can spill over stone walls and landscape. This plant can be difficult to grow in drier climates but has great success in coastal locations. People sometimes have trouble growing ice plant. It is a succulent. It does not look like it would be cold-hardy in New England, but it is. Cold is not a problem. The issue is that you have to provide it with sharp drainage. Ice plant makes it worth your while if you tackle this problem head-on since it can produce a dazzling display of flowers. Like ice plant (as well as the widely-loved hens and chicks, which is another ground cover for sun), Angelina sedum is a succulent. But unlike ice plants, Angelina sedum is not grown for its flowers. The plant does bloom, but the flower stalks are gangly-looking. It is the foliage that counts with this ground cover: it is golden to chartreuse, the more sun it gets the more golden it gets. To create a color contrast, you can use black mondo grass as a plant companion. Mondo grass can take significant sun in the North, although southern gardeners may need to supply it with more shade. For a fragrant sun-loving ground cover, you can get creeping thyme. Usually, when you think fragrant, you probably think fragrant flowers, but do not forget that there are also plants with aromatic foliage. Creeping thyme is one of them (although Thymus vulgaris is an even more fragrant type of thyme). The best way to enjoy its pleasing smell is literally to walk all over it. That's right: far from suffering damage if you step on it, this ground cover for sun does not mind a reasonable amount of foot traffic. Moreover, walking on it crushes the aromatic leaves just enough to waft some of that wonderful scent into the air.